Many people characterize urban renewal projects and the power of eminent domain as two of the most widely despised and often racist tools for reshaping American cities in the postwar period. In A World More Concrete, N. D. B. Connolly uses the history of South Florida to unearth an older and far more complex story. 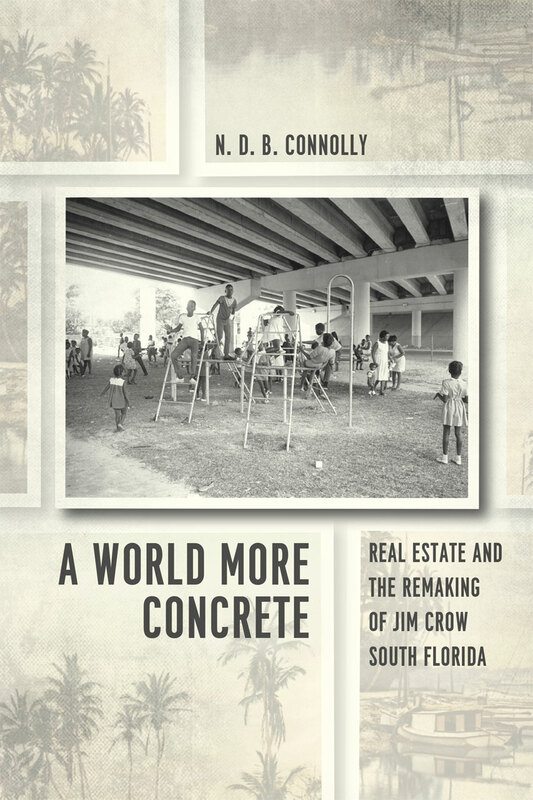 Connolly captures nearly eighty years of political and land transactions to reveal how real estate and redevelopment created and preserved metropolitan growth and racial peace under white supremacy. Using a materialist approach, he offers a long view of capitalism and the color line, following much of the money that made land taking and Jim Crow segregation profitable and preferred approaches to governing cities throughout the twentieth century. A World More Concrete argues that black and white landlords, entrepreneurs, and even liberal community leaders used tenements and repeated land dispossession to take advantage of the poor and generate remarkable wealth. Through a political culture built on real estate, South Florida’s landlords and homeowners advanced property rights and white property rights, especially, at the expense of more inclusive visions of equality. For black people and many of their white allies, uses of eminent domain helped to harden class and color lines. Yet, for many reformers, confiscating certain kinds of real estate through eminent domain also promised to help improve housing conditions, to undermine the neighborhood influence of powerful slumlords, and to open new opportunities for suburban life for black Floridians. Concerned more with winners and losers than with heroes and villains, A World More Concrete offers a sober assessment of money and power in Jim Crow America. It shows how negotiations between powerful real estate interests on both sides of the color line gave racial segregation a remarkable capacity to evolve, revealing property owners’ power to reshape American cities in ways that can still be seen and felt today.